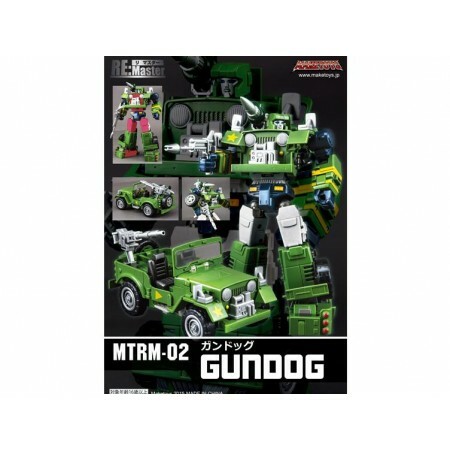 Gundog stands 15.5 cm tall putting him in scale with existing Transformers Masterpiece action figures. 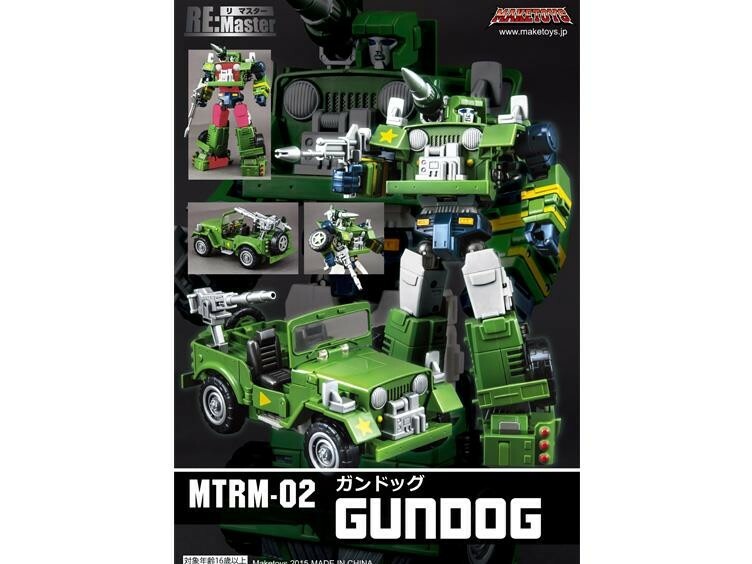 Gundog transforms from 4x4 army jeep to full articulated action figure. Ages 15 and up.